Mousses Etoiles, a leading French manufacturer of luxurious outdoor furniture, will be showcasing its latest collections and innovative designs at the Leisure Show Dubai expo which runs from September 16 to 18 in Dubai. 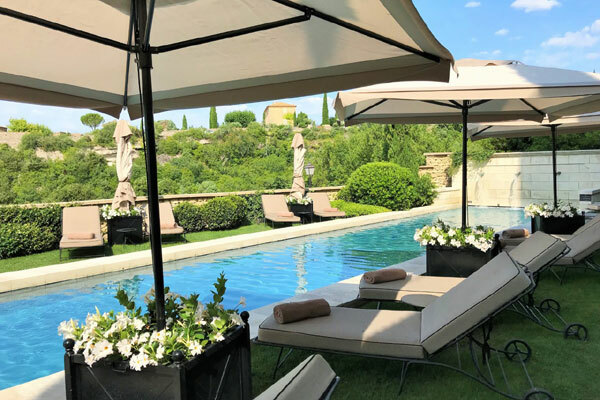 Since 1992, Mousses Etoiles, a privately-owned family business, has been designing and manufacturing high quality outdoor furniture for five-star hotels, restaurants, beach clubs and luxurious villas. Although the company started with humble beginnings, it is now one of the fastest growing manufacturers in the industry and is supplying to renowned clientele globally. Mousses Etoiles, which has already begun providing UAE’s most prestigious hotels, will be looking forward to meeting and interacting with more hospitality professionals visiting the show, said a statement from the company. In the recent years, due to the growing international demand, Mousses Etoiles has been expanding fast, whilst maintaining its warm family-business charm. It has created a strong brand recognition based on its quality, comfort and aesthetic appeal and is being recognized by the major hotel groups and luxury commercial designers. A strong success factor for Mousses Etoiles, attributing to the increase of global interest, is the ‘Made in France’ label, it stated. The company manufactures its products in France and continually improves them, making them more durable, stronger and better adapted to consumers’ needs. Mousses Etoiles listens closely to their clients’ requests and creates made-to-measure sunbeds, umbrellas and a range of outdoor furniture products. The designers and manufactures are committed to never offering the same products to different clients. "Mousses Etoiles' star product - which will be displayed at the show - is the famous sun protector umbrella which is sturdily made and can withstand 100 km/h winds," its top executive explained M Laurent Lepoutre. "Hotel clients that are exposedto windy conditions, attest to the Mousses Etoiles umbrella’s durability and quality which they have been using over 10 years. Other key premium products manufactured by Mousses Etoiles include sunbeds, mattresses, cushions and pillows," he added.